CrossFit blog about cross functional Fitness Lifestyle. What happened at the Central Regional? Traditionally Central Regional has been one of the most competitive in the world. Their was a clear favorite, two time Fittest Man on Earth, Mat Fraser in the individual men’s competition, but nonetheless their was a good fight on the competition floor all weekend. Drew Wayman was the first over the finish line in Event 1, with Mat Fraser finishing 9th. Drew is yet to secure a qualifying spot at the Games, so we hope to see him throw down again next CrossFit Games season. 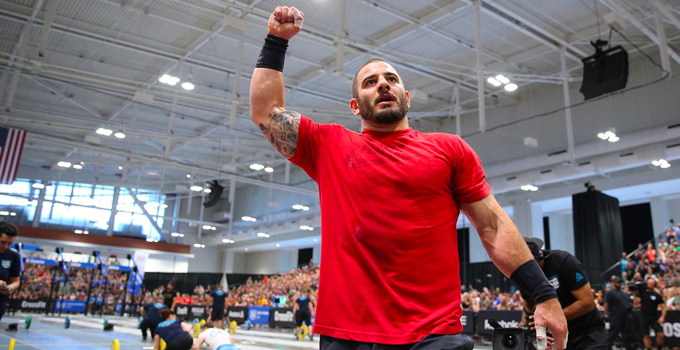 After Event 1 Mat Fraser turned the tables and went on to take 5 consecutive back to back wins in Event 2, 3, 4, 5 and 6. It was his career Regional event win number sixteen to twenty. And in doing so he also broke three consecutive records and is now five time Regional champion, the first person ever to do that in the sport of CrossFit. Kristi Eramo took 100 points to start the weekend and continued to stay in the top 10 in all six events. This is Kristi’s forth Regional appearance and this will be her second time as a qualifier at the CrossFit Games after taking second place on the podium this weekend. Brooke Wells took second place in Event 1 and first place in Event 2 and was on top of the leaderboard after Day 1, she had a dominant performance all weekend which secured her Central Regional win. Jolene Quirke was Event 3 winner, but Amanda Barnhart took out three consecutive wins in Event 4, 5 and 6 which put her in third place on the podium and it secured her debut appearance at the 2018 CrossFit Games. Games veterans Alex Anderson (two time CrossFit Games athlete) took second place on the podium, and Scott Panchik (five time CrossFit Games athlete) took forth overall. His younger brother Saxon Panchik, finishing just 14 points behind Scott, was the fifth and last qualifier to the Games. This is Saxon’s third Regional and will be his debut appearance at the 2018 CrossFit Games. The 2018 Central Regional sure was a very special weekend for the Panchik brothers. CrossFit Mayhem Freedom, lead by the one and only Rich Froning has gotten better at Regionals year after year, taking 98% of the points available to them, and crowing them the winners over O3C Black by 86 points. They also formed another quality CrossFit Games team, CrossFit Mayhem Independence, who will be making their debut appearance at the Games. Every month we get special offers for cross functional equipment. If you'd like to know about the best deals we find, enter your email address below and we will send a short, helpful email when opportunities arise.